Our portion slicer uses circular blades for scoring and vertical slicing of product. It is also able to split pitas, tortillas, and products under 3" thick. We pride ourselves on our engineering knowledge and know how. 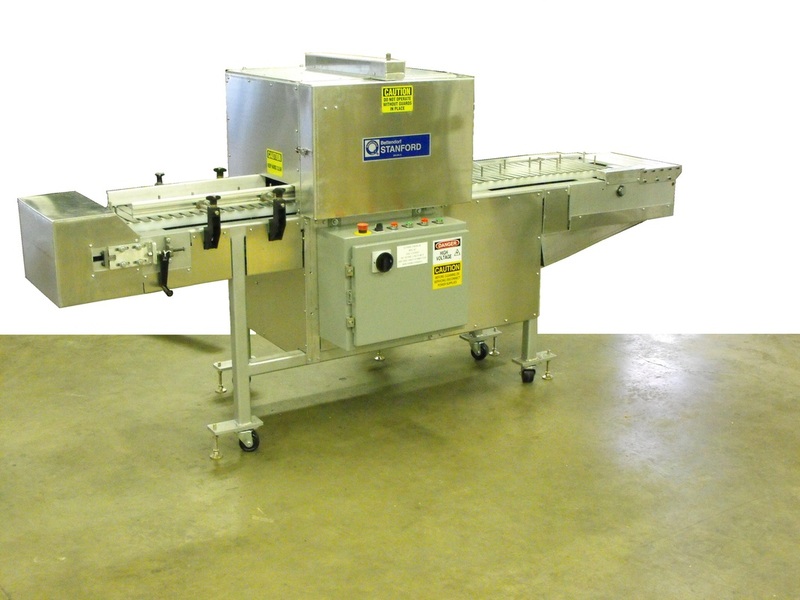 We have used this type of slicer on breads, cakes, rolls, mushrooms, and fruits. If you need help figuring out how you can make, mark, or score a product, please give us a call. We can help!